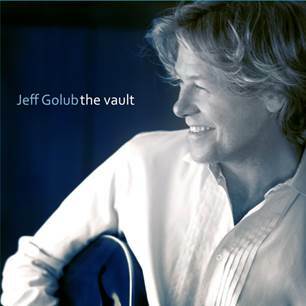 A few days prior to New Year’s Day, the day guitarist Jeff Golub passed away at age 59, his frequent collaborators Steven Miller, Rick Braun and Bud Harner put the finishing touches on Golub’s 13th solo album, “The Vault,” a collection of previously unreleased songs and reimagined early career gems that were redecorated with the assistance of some of the artist’s high-profile musician friends. Everyone involved with creating the album that was released today by eOne Music – musicians, producers, songwriters, engineers, mixers, mastering, graphic artists, etc. – donated their time to the project so that all of the money generated by record sales can go to Golub’s family.